Welcome to St. John’s Grace! 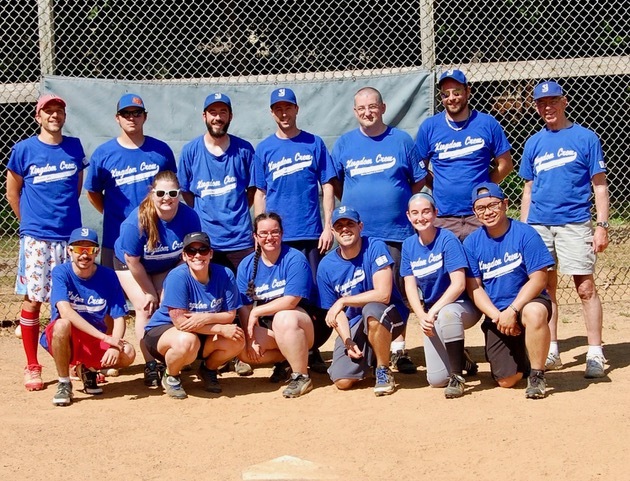 St. John’s Grace Kingdom Crew are 2018 Church Runners-up! 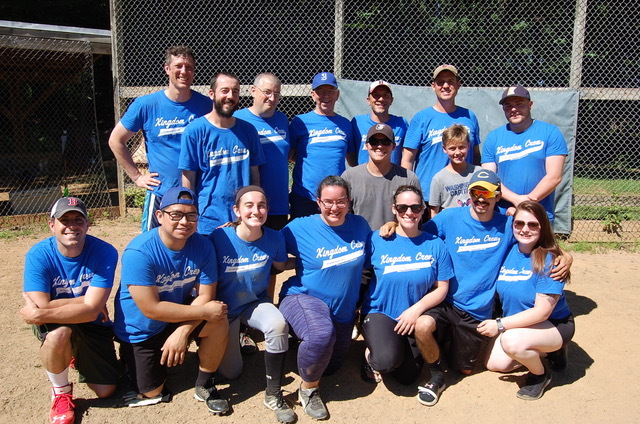 On Sunday July 8th, our Kingdom Crew Softball Team was not successful in it’s pursuit of it’s fourth League Championship. Our team was defeated 19-10 by the Baltimore Bandits. Nevertheless, fun and fellowship was enjoyed by all – players and fans alike! St. John’s Grace Kingdom Crew are 2017 Church League Champs! Back Row—Greg Hewitt, Matt Kruger, Patrick Spliedt, Joe Healy, Dave Wieland, Brad Oberholzer, Steve Lauer, Coach. Front Row—Tyler Rubalcaba, Natasha Pierce, Danielle Kruger, Morgan Bunting, Pete DeLuca, Christina Spliedt and John Camoneyen. Not shown are Jeffrey Rienhardt and Jason Russ. Plan to support the team next season! All games are played on Dickey Field in Oella: From Rolling Road (at the Senior Center) turn west onto Old Frederick Road. Turn Right onto Rockwell Avenue. Rockwell Avenue dead-ends at Westchester Avenue. Turn Left onto Westchester Avenue. Turn Right onto Trinity Church property. Proceed to the rear lot (the softball field is to the right beyond the path).